Did May Accidentally Reveal Guitar Hero: Queen? In an interview with Swedish news site DN (dn.se/kultur-noje/musik/bria... ... -1.1126549), legendary guitarist Brian May stated (translated) We have invented a way to let users participate in the game during our concerts, but I can not say more than this now. There is a secret. The article also mentions that the game is due out next year. Whether or not the rumor is true, there's no doubt that a Guitar Hero: Queen would be pretty sweet. 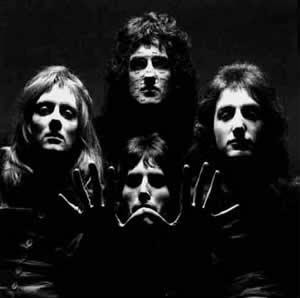 Queen has had huge success during their days, and still many of their songs are played. Hopefully if this true, the game will get marketed the way it deserves. The band is huge and deserves to have a great game made for them and their career. As more news comes along, Xbox Resource will post about it, but if it is a true thing, look towards next year for a Queen Guitar Hero game! All I can really say about this all is that I hope this is happening, and that all Queen is thinking is, We Will, We Will Rock You! Sounds more like some sort of Queen Air Guitar Hero for Kinect to me. Queen + rockband + kinect ? ...will then kinect scan my moustache as reference point when I'll be on the microphone ? I think the key in that text is the sentence We have invented a way to LET USERS PARTICIPATE in the game DURING OUR CONCERTS. Looks like it has nothing to do with console gaming. At all. Queen + rockband + kinect ? ...will then kinect scan my moustache as reference point when I'll be on the microphone ? I think the key in that text is the sentence We have invented a way to LET USERS PARTICIPATE in the game DURING OUR CONCERTS. Looks like it has nothing to do with console gaming. At all.